New Delhi, December 14: Discussing wide range of issues related to defence equipment, industry and technological engagement, India and Russia agreed to extend bilateral cooperation on defence joint-venture (JV) manufacturing projects on Thursday at the 18th meeting of the India-Russia Governmental Commission on Military Technical Cooperation (IRIGC-MTC). With a view to enhancing military-to-military engagement and rationalising the functioning of the Commission, a revised Inter-Governmental Agreement was signed by the two defence ministers.It will help restructure the existing IRIGC-MTC to the IRIGC on Military and Military Technical Cooperation. An additional institutional working group would also be set up under the expanded Commission. 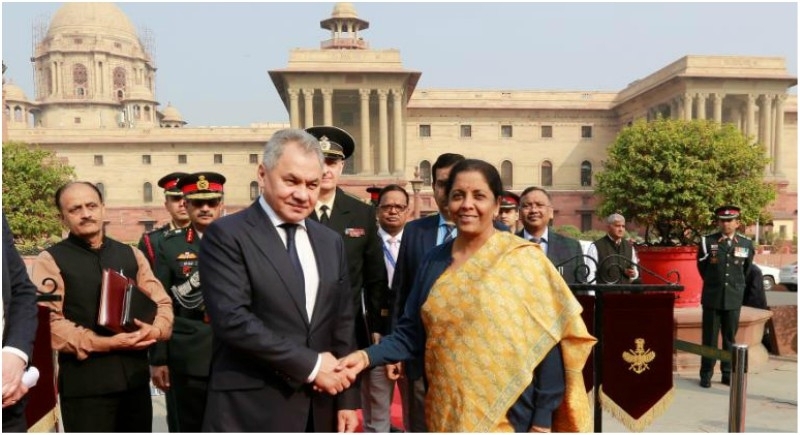 With regards to the framework of Special and Privileged Strategic Partnership’, the minister discussed a wide range of issues related to defence and other technicalities between India and Russia. Both ministers expressed satisfaction citing dynamism and progress in bilateral defence cooperation. Intensive discussions were held on joint manufacturing projects, including the Kamov-226T helicopters, naval frigates and projects related to land systems. The two countries also agreed to take forward inter-governmental arrangements for facilitating joint manufacturing of spares for Russian origin equipment in India, under the ‘Make in India’ initiative.